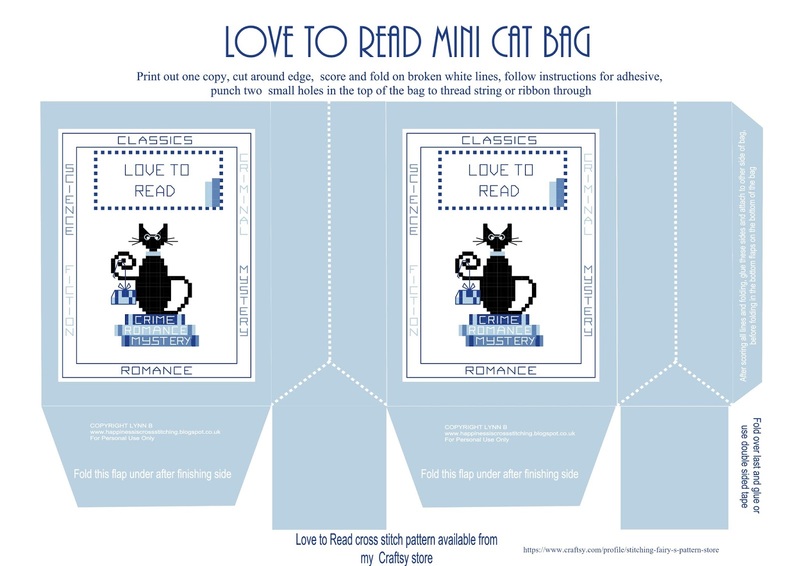 Hi everyone, here is my latest mini cat design for 2016, the free pattern is below, just click on the pattern and then right click to save to your computer. This is my last post for 2016, I hope you all have a Merry Christmas and a Happy New Year, see you in 2017. Hi everyone, I have finished some more Christmas ornaments, the sleigh I have already shown but the music ornaments I have just finished. Heaven and Earth stitching progress and socks finished! Hi everyone, I have some progress to show on my Heaven and Earth work in progress, I love this pattern! Hi everyone, here is the Jardin Prive sheep design finished into a project bag, I think I will be making many of these in various sizes! 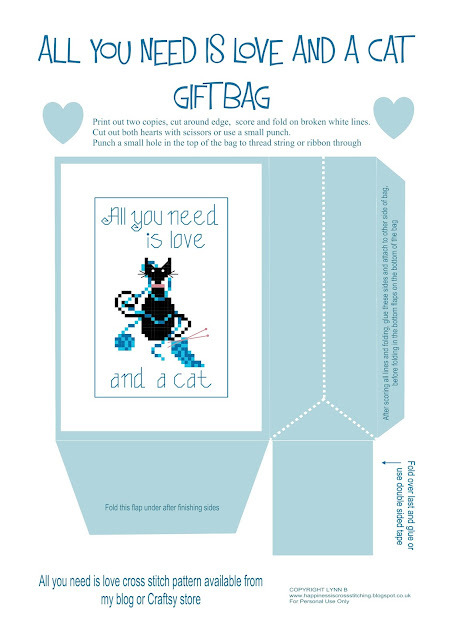 Freebie Friday - Love to cross stitch mini cat! Hi everyone, it's Freebie Friday! Hi everyone, I have never stitched anything for my husband until now. Christmas stitching, Jardin prive stitching and a thankyou! Hi everyone, I have finished this little ornament for a little Christmas gift for a family member. Random act of kindness, nominated for British Craft Award and a small giveaway! Hi everyone, here is the secret piece of stitching that I have been working on for the past year or so, tah dah!!!!! Bookmark, heaven and earth design work in progress and stitching a freebie. Hi everyone, here is my latest finish, a bookmark from Cross Stitch Collection Magazine August 2016. I have never made a bookmark before but I love the way this has turned out, the colours are so pretty together. 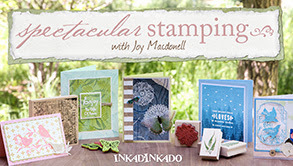 Hi everyone, Freebie Friday! 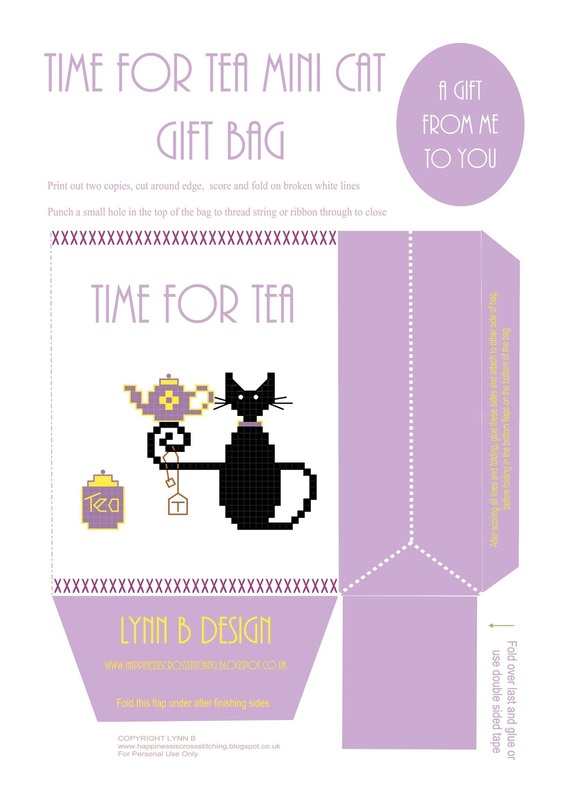 I have designed this little bag to match my Love To Read cross stitch pattern, hope you like it! Just click on the image and then right click on the image again to "save as" to your computer and then print. 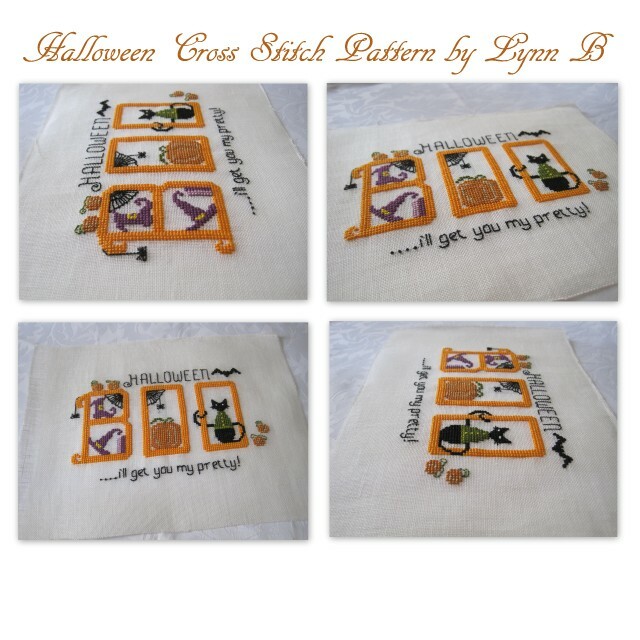 Hi everyone, here is my latest cross stitch design, Boo Halloween, I do hope you like it! Hi everyone, this week I have been playing around with perforated paper and I love it! 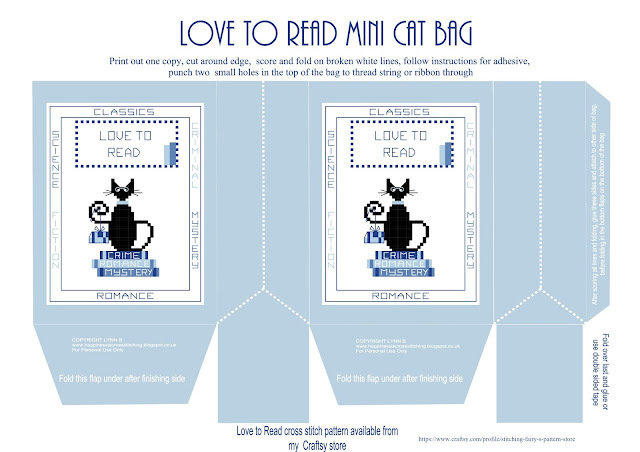 The Tea Time Mini Cat Bag that was in the giveaway is also available for you to download, see below. Click on the image and then right click the image again, click "save as" to your computer. Work in progress, Christmas gift and winner of giveaway announced! Hi everyone, today I announce the winner of the giveaway, thankyou everyone for entering my giveaway, your comments were appreciated. Two Turtle Doves, podcasting and knitting. Hi everyone, thankyou to everyone who commented on my giveaway in the last post, I am so glad you liked it, there is still time to enter here, the giveaway does not close until September 18th 2016. Hi everyone, I thought it was about time I put together a small giveaway and here it is! Christmas stitching, Laduree and Craft Room news. Hi everyone, glad you liked the Paris fashion show in the previous post! This week I have been doing a little Christmas stitching, A Partridge in a Pear Tree and Two Turtle Doves. Hi everyone, on Saturday morning I was reading a blog that showed photos of a fashion exhibition in Paris, I mentioned to my husband that the show finished on Sunday evening, much to my disappointment, however, he then asked if I would like to go to Paris for the weekend! 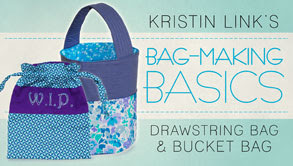 Friday Freebie gift bag,tags with tutorial. Hi everyone, here are the digital downloads I promised, I have also put together a little tutorial for the gift bag. Hi everyone, Home Sweet Home, I just love that saying, in my case that is so true, I just love being home tucked away in my house, for me there is no nicer feeling. 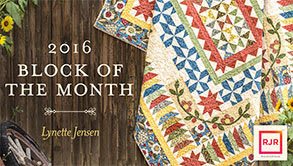 Freebie Friday - Autumn Cross Stitch Pattern for Seasons 2016 and a gift bag to match! 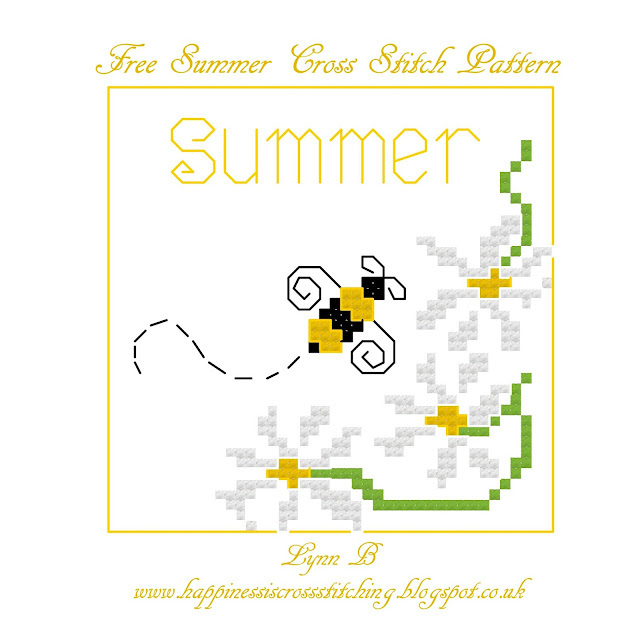 Hi everyone, it's Freebie Friday today, here is the next design in the Seasons 2016 free patterns, I have already completed Summer and now Autumn is ready too. They are really quick to make, which is always a bonus! Hi everyone, I am back after a blogging break, hope you are all well? 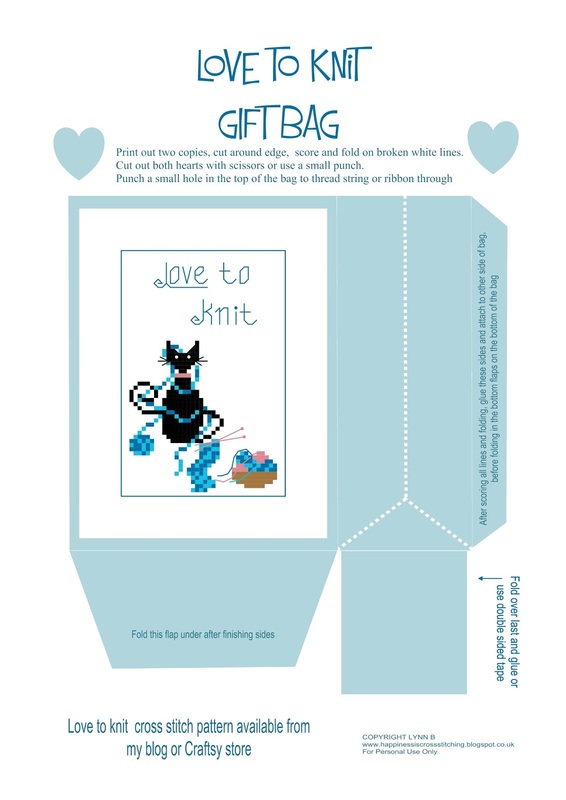 Hi everyone, it's Freebie Friday and today as promised in this last post the Love to knit mini cat bag and the little loveheart shaped box is here for you to download. Right click the image and "save as" to your computer. Love to knit mini cat finished. Hi everyone, here is a little gift set I put together using the Love to Knit Mini Cat Pattern, I designed a small loveheart shaped box for chocolates or for a small gift to pop inside, I also made the matching little bag, the free downloads for the bag and box will be available on freebie friday this week. 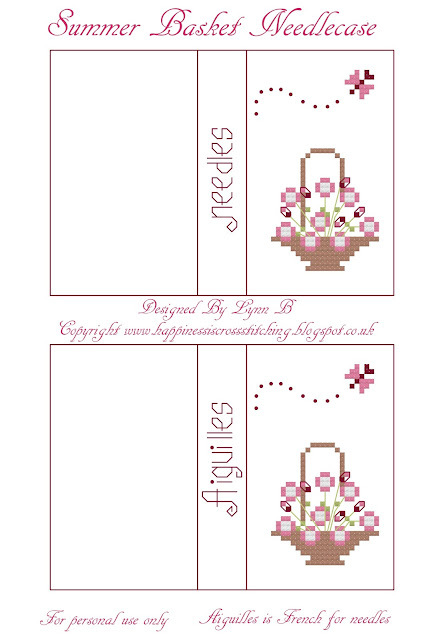 Hi everyone, here are the free gift bag and tags that I designed to compliment the free Summer cross stitch pattern, they are available in this post to download, I do hope you like them! Hi everyone, here is the friday freebie cross stitch pattern as promised in my last post here. Wonderful day at a cross stitch exhibition in the Dordogne! Hi everyone, I attended my first Salon de la creation a'laguille in Dordogne France on Monday and what a wonderful day we had, I have taken some photos to show you the beautiful cross stitch on display and purchased a few items. We packed up the motorhome ready for our long journey but it was a lovely sunny day and we saw beautiful scenery along the way. Hi everyone, here is my latest cross stitch design for the Summer, I will be making three more to go with this series, Autumn, Winter and then Spring, all freebies of course. The pattern will be available on Friday as a Freebie Friday pattern with bee gift tags. 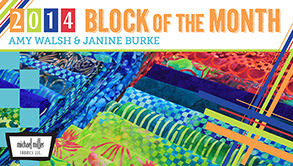 The pattern is now available here. 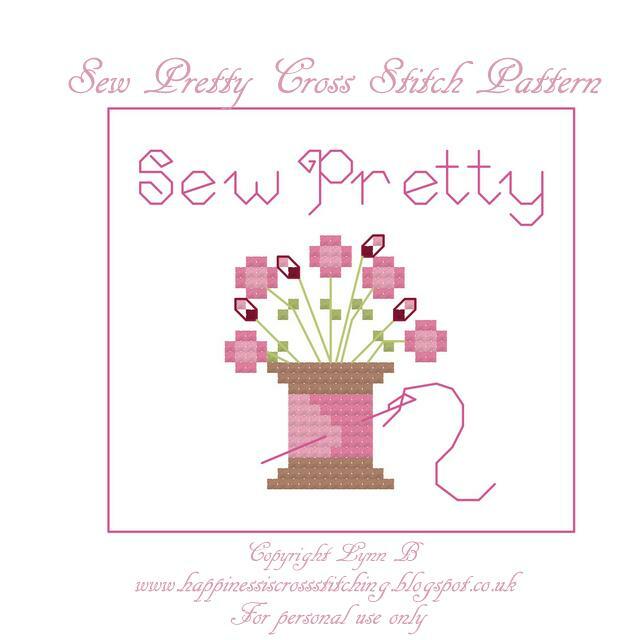 Hi everyone, it's Friday freebie day, here is a pretty little bird for you to stitch up pretty quickly, it would make the perfect small gift. Hi everyone, remember the free pattern I posted here on my blog a couple of weeks ago, well here is the design finished into a mattress pincushion, I decided to change the design slightly by adding more flowers, you can download both versions of the pattern here from my blog. Home Sweet Home, Two Turtle Doves, a knitting mini cat, bedroom decor and some stitching stash. Hi everyone, I have quite a busy post for you today, I have finished stitching Two Turtle Doves from my last post, stitched a free pattern in triplicate because I like it so much, purchased some stash and a gorgeous Paris design Duvet cover and pillowcases. I love Craftsy classes, you can learn so much, they have covered lots of different subjects from crochet, knitting, quilting, bag making jewellery to painting and photography! 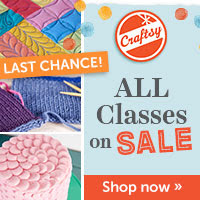 Craftsy is saying a sweet farewell to National Craft Month by offering you the chance to get any online class for $19.99! 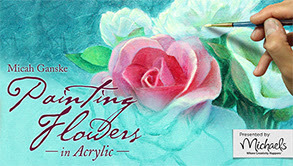 Check out all the classes on sale before the offer ends tonight. 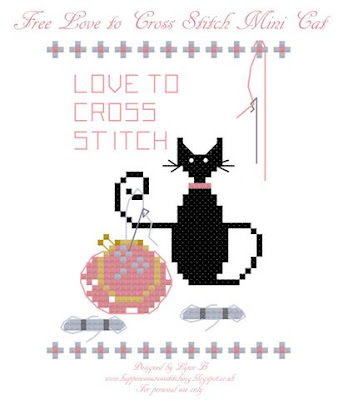 One of my favourite classes for a beginner cross stitcher can be found here where Jeanette Douglas takes you through the basics of cross stitch and beyond. You all know how I love a freebie right? Why not try the FREE classes below? 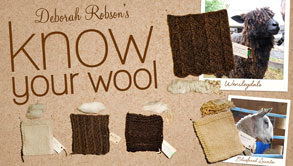 Here are a few samples below, I think I am going to check out the free class for socks! 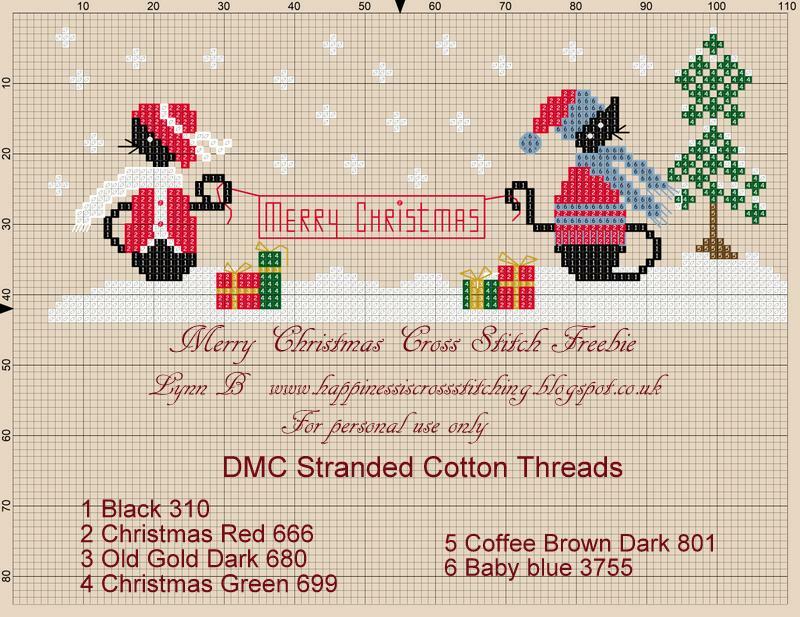 Hi everyone, I have been doing a little bit of Christmas stitching, it is a Twelve Days of Christmas design that can be stitched as ornaments or a one piece design, it is one of my favourite cross stitch projects. Hi everyone, I have finished Lucky Mini Cat into a pretty pinkeep, I think he is quite cute! Hi everyone, it's Friday so it's freebie day! 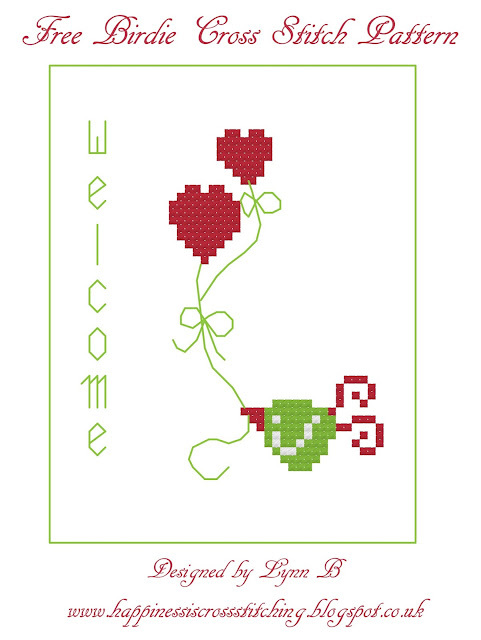 Hi everyone, it's St Patricks Day today so I thought I would stitch the freebie I designed, unfortunately I was hoping to get it finished into a pinkeep but ran out of time, I will finish it over the next few days and show it in my next post. 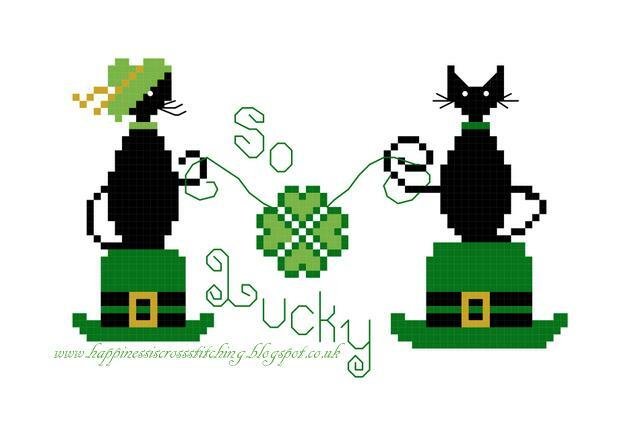 Hi everyone, freebie friday again so here is a St Patricks Day Mini Cat pattern, I have designed two, a large one and a small one.